Montgomery (pics) became Alabama’s capital city in 1847 and the current Capitol dates from 1851. Alabama’s State Capitol is notable for two very significant events. In 1861, The Confederate States of America was born in the Senate Chamber, where delegates from Southern states voted to establish a new nation. A little more than a century later, the 1965 Selma to Montgomery Voting Rights March led by the Reverend Martin Luther King, Jr., ended on the street in front of the Capitol. Since the mid-1980’s the legislature meets in the Alabama Statehouse across the street from the Capitol. The House and Senate Chambers have been restored to their original look. 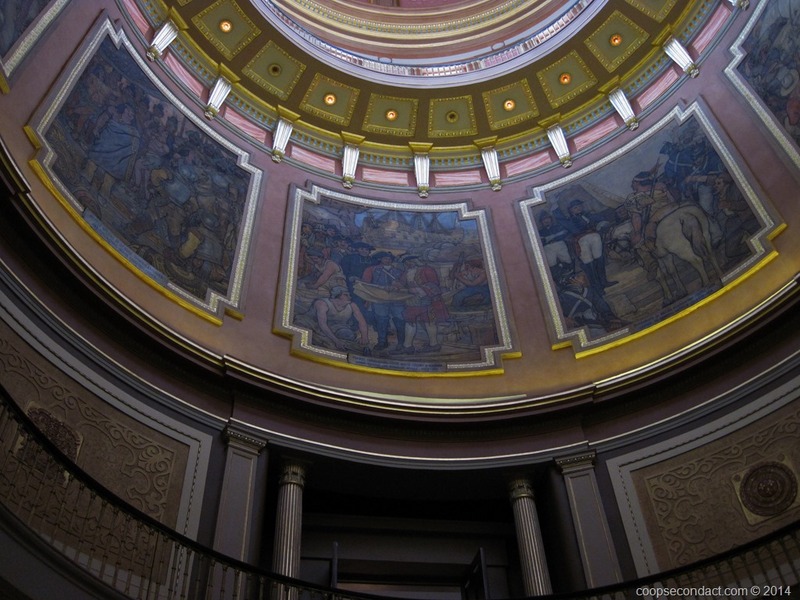 The rotunda has a series of 8 murals painted in the 1920’s that illustrate Alabama’s history. One of the other notable landmarks in Montgomery is the Dexter Avenue King Memorial Baptist Church which is the only church where Dr. King served as pastor. He served here from 1954 to 1960 as he began his quest for civil rights. Across the street from this church you can see the original Alabama Judicial Building sitting inside a modern Retirement Security Agency building. 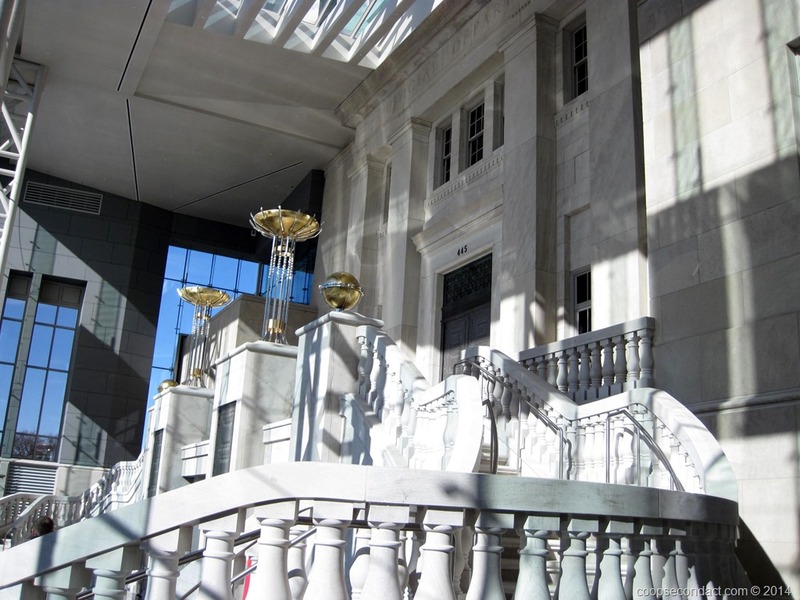 When the new building was planned the original intention was to demolish the former home for the Alabama Supreme Court. Instead, it was left intact and can be seen through the glass front of the new building. And finally, it was time for another southern meal. Based upon local recommendation we chose Jim ‘N Nick’s Bar-B-Q. 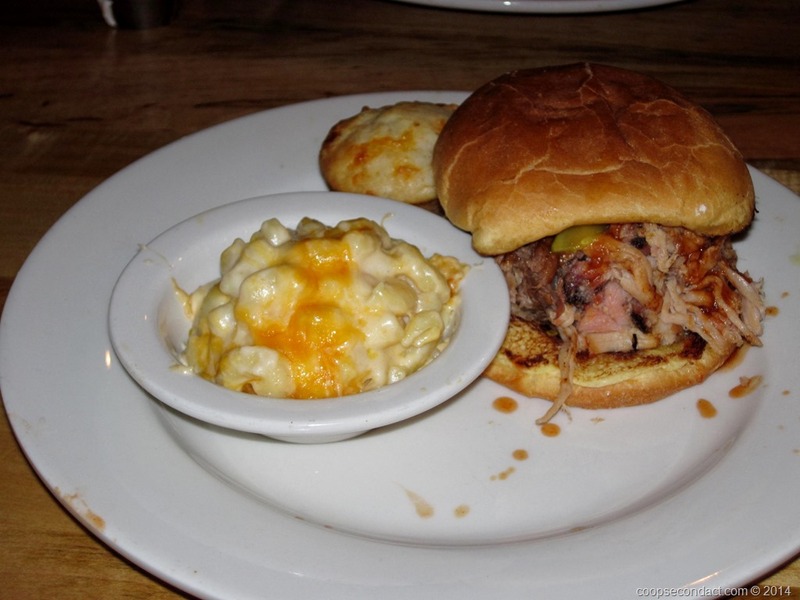 There we had their pulled pork sandwich, fried catfish and a variety of side dishes. Both were good but I would have to say not as good as the BBQ we had in Memphis or in Raleigh. We’ll keep trying.